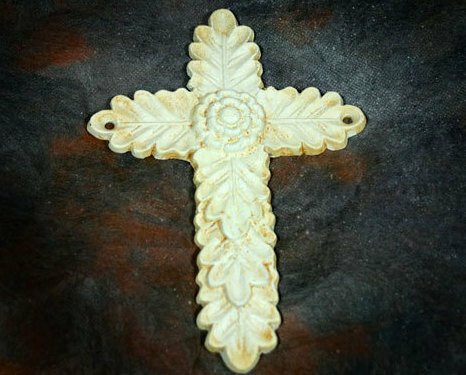 Decorative antique white iron cross with a leaf and rosette design. Measures approximately 8 inches long and 5.5 inches wide. Has two holes for attaching to a wooden plaque or wall.